Here is my newest font which is pretty cute. 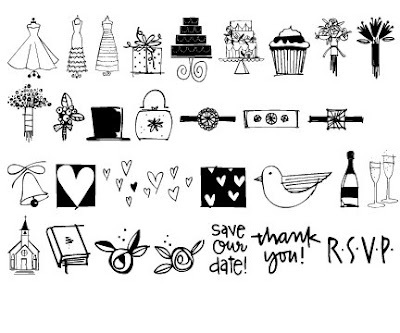 I did a Wedding Doodles font last year and it was a hit so I decided to do another and expand the amount of wedding icons available. Next month I will bring you Justine's Just Shoes and Purses... more cute girlie stuff.